Migraine sufferers are twice as likely to be depressed as people who don't have the painful headaches. Now, a new study finds that people with migraines who also are depressed have smaller brains, a discovery that could provide more clues into treating the conditions. "Our study suggests that people with both migraine and depression may represent a unique group from those with only one of these conditions and may also require different strategies for long-term treatment," study author Dr. Larus S. Gudmundsson, a researcher at the National Institute on Aging and the Uniformed Services University of the Health Sciences, in Bethesda, Md., said in a news release. About 16 percent of Americans suffer from migraines or severe headaches, according to a 2009 study from the Centers for Disease Control and Prevention. People with migraines may experience throbbing pain, blurred vision, nausea, loss of appetite, fatigue, dizziness and sensitivity to light, noise or odors, according to WebMD. The study authors set out to see how having both depression and migraines affected people's brains. Their research was published May 22 online in Neurology. Researchers looked at nearly 4,300 people who were an average age of 51 when they were tested for migraines between 1967 and 1991. They were re-assessed with a depression test and MRI brain scan between 2002 and 2006 when they were 76 on average. Out of the study pool, 37 people had both migraines and depression, while more than 2,700 had neither condition. There was no difference in brain size when comparing people with only migraines or depression to people without either condition. However, people with both depression and migraines had brain tissue volumes 19.2 millimeters smaller on average than people without either condition. The researchers aren't exactly sure what it all means, but Gudmundsson pointed out that certain factors associated with migraines and depression like pain, brain inflammation, genetics, or social and economic factors may have affected brain volume. On the other hand, people with smaller brains may be more prone to these conditions. This particular study did not look at which came first, the health woes or brain changes. "It is important to note that participants in this study were imaged using MRI once, so we cannot say that migraine and depression resulted in brain atrophy," said Gudmundsson. "In future studies, we need to examine at what age participants develop both migraine and depression and measure their brain volume changes over time in order to determine what comes first." The study was funded by the National Institutes of Health and the National Institute on Aging in the U.S., and also by the Icelandic Heart Association and the Icelandic Parliament. 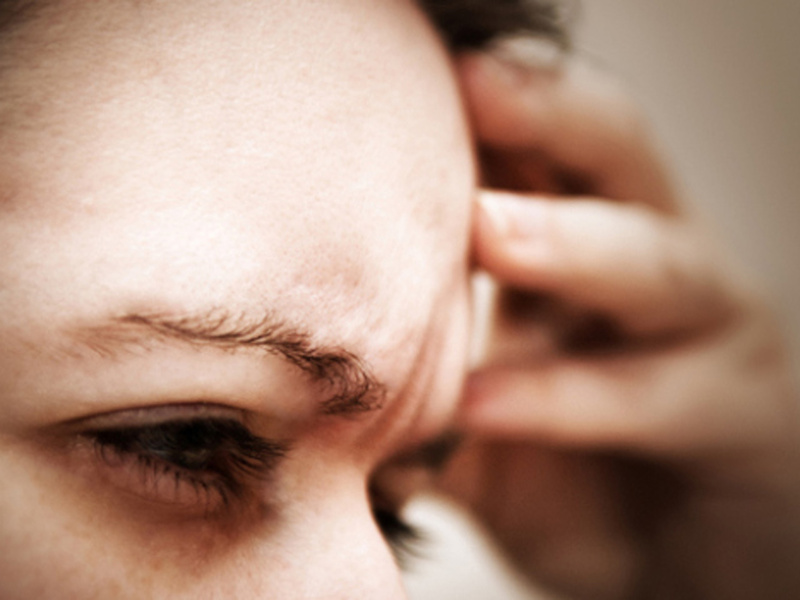 This isn't the first study to report brain changes associated with migraines. A March study in Radiology found migraine sufferers had less tissue over the part of the brain that processes pain. A Nov. 2012 study in JAMA found women who suffered from migraines were more likely to have small lesions in their brains. The lesions did not appear to affect cognitive function though, tests confirmed.